Michael Lauter is a partner in the Finance and Bankruptcy Practice Group in the firm's San Francisco Office. Mr. Lauter specializes in bankruptcy, creditor's rights, receiverships, workouts and foreclosures. His practice includes representing debtors, creditors and committees in bankruptcy, representing lenders and special servicers in workouts, foreclosures and receiverships, and representing state and federal court receivers. 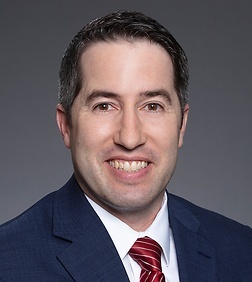 Mr. Lauter also has significant experience representing lenders in real estate and asset based financings, and representing buyers in real estate purchases and sales. Represented the Official Committee of Unsecured Creditors of Pacific Steel Casting Company and Berkeley Properties, LLC. Represented the Official Committee of Unsecured Creditors of Plant Insulation Company in proposing and confirming a plan of reorganization under Bankruptcy Code section 524(g), and defending appeals of that plan confirmation order in the District Court, Ninth Circuit and Supreme Court. Represented the Official Committee of Unsecured Creditors of William James “Boots” Del Biaggio, III in negotiating a sale of the estate’s preferred interest in a NHL franchise, confirming a plan of liquidation, and disallowing and subordinating over $100 million in asserted claims against the estate. Represented Arriva Pharmaceuticals, Inc. as a chapter 11 debtor in confirming a plan of reorganization and successfully dismissing or favorably resolving multiple appeals filed by litigation adversaries at the District Court and Ninth Circuit levels. Represented the secured lender in the appointment of a receiver who marketed and facilitated the sale of a 129 unit condominium complex in Roseville, CA. Represented the primary secured lender in the bankruptcy of Golden Gate Community Health, f/k/a Planned Parenthood Golden Gate. Represented a federal court receiver appointed by the United States District Court of the Virgin Islands over an oil and gas company in connection with a chapter 7 bankruptcy filing of the company subject of the receivership, and two chapter 11 bankruptcy filings of the company’s principal. Represented a state court receiver in the marketing and sale of a bed and breakfast facility in Napa, CA. Represented a state court receiver in the partial completion and unit-by-unit sale of a residential subdivision in King City, CA. Represented Humboldt Creamery, LLC as a chapter 11 debtor in selling its operating business under Bankruptcy Code section 363 and confirming a plan of liquidation thereafter. Represented the purchaser of the Debtor’s equity in a single asset real estate case involving a property in Santa Clara, CA that was to be converted from commercial to mixed use residential and commercial as part of the plan. Represented the purchaser of a 76 unit residential apartment building in downtown Los Angeles, CA in connection with said purchase. Represented a special servicer of loans in connection with several foreclosures, guaranty actions, and related matters in connection with a portfolio of defaulted California real estate secured loans. Represented the secured lender in the workout of a mobile home timeshare resort in Northern California.